Since I have family and friends living in Cuba, please let me take this moment to send my prayers to them as Tropical Storm Gordon bears down. Life for the young and most Cubans is brutal under the Crastro brothers’ tyranny. See what Cubans have to say:A Glimpse of Cuba. Follow the links for this four-part interview. Go to other links. Good stuff. I am impressed with the curiosity and diligence of the Indian students and investors that I have been fortunate to meet over the years. This entry was posted in Investing Gurus, Uncategorized and tagged A Glimpse of Cuba, Cuba, India, Sanjay Bakshi, Tropical Storm Gordon. Bookmark the permalink. 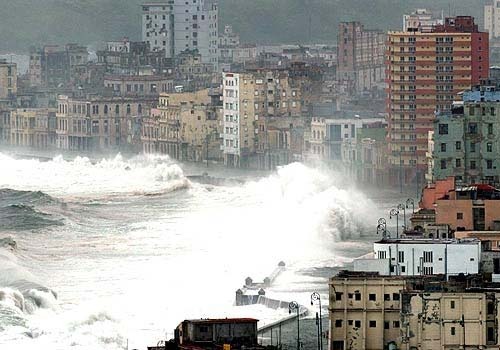 Hope your family and friends in Cuba are safe and sound. 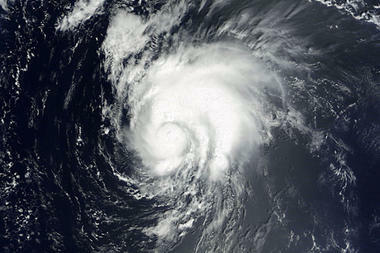 Tropical storms are really no joke, hopefully it doesn’t hit with that much force. Thanks, Great post on Valueprax. Sanjay Bakshi is really a gem his some of the recommendations Eicher motors (LCV,MCV ), VST Industries(Tobacco), Wockhardt (Pharma) are ten baggers in less than 3 years. He is very down to earth and teaches in a college. On average we did better than the market in the second quarter in spite of a tempest in a tea pot, which I will discuss later. Bonds substantially lagged stocks: the game is over, but many fans remain seated. Much has been written in recent years about investors’ increasingly short-term mindset. On mulling a recent trip to Cuba I have come to think that many investors think and act like 19th century colonial pow-ers: they want their dividend and have little patience for the obligations of acting like an owner. Since Columbus discovered the New World Cuba has been under the control of Spain, the US, or an ide-ology. Spain was interested in Cuba’s resources and salivated at the thought of finding gold. These mindsets led to extreme indifference to the indigenous people, which increasingly included not only the original natives, but freed Blacks (originally slaves), and independently minded Spaniards and French. They also led to the Revolution that brought Castro and the communists to power with an ideology that corrected some of the wrongs of the colonial powers but added an ideological rigidity that has stifled Cuba’s development. Personalities and ineptness made matters worse. Neither Spain, nor the US, nor Castro took any interest in nurturing a working polity. At some point we Americans will have to come to terms with our role in how Cuba got to where it is today. We can dance around the issue by dwelling on the shortcomings of centralized, communal property ownership—a short-coming that is evident to anyone (not blinded by communist ideology) walking the streets of Havana to-day. But we failed miserably in encouraging Cuba to develop functioning governance. We didn’t try; worse, we discouraged it. Blinded by late 19th century colonialism and racism we wanted Cuba’s sugar, and we feared that Cuba might become a Black controlled country in our backyard. (The Cuban popula-tion was half Black and mulatto.) Prohibition—one of our great failed experiments—made matters worse: Americans flocked to Havana to drink. Gambling and the mafia followed. Castro has not left Cuba in a more governable shape. He was a bungling military strategist; he was a rash risk-taker. But he was a master orator. I had heard that he could go on for hours giving spell-binding speeches. Google “History Will Absolve Me” and read a few paragraphs; you will get a sense of his rhetorical skill. But his major shortcoming for what follows him is his need to be in control, to be the central figure and not to delegate. You can see why he was attracted to the central command structure of communism. As a result Cuba has no bench strength. We see the same lack in the Middle Eastern ex-colonies. Arab Spring warms any freedom lover’s heart, but the colonial heritage—this time the Brits—left behind societies with no culture of effective governance. As Hans Sachs sings in the Meistersinger, anyone in the bloom of love can sing a pretty song, but what happens when spring is followed by summer and summer by fall? A mastersinger, he continues, is able to sustain a melody into multiple verses (seasons) with novelty, which brings freshness to life. JPMorgan Chase gained 39.2% in the first quarter; it lost 21.7% in the second quarter, and ended the first half up 9.2%, just shy of the S&P 500 at 9.5%. What happened was initially a mark to market trading loss that Jamie Dimon initially brushed off as a tempest in a teapot—and it became a tempest in a teapot. This tempest likely never would have happened if he had not made that comment. It forced him to disclose what would have largely remained routine risk-taking business, and let’s not forget, as Dimon has repeatedly reminded us, banks are in the business of taking risks with every loan they make. Indeed, the losses incurred from bank loans routinely dwarf the losses that caused this tempest. .As of June 30 JPM had $24 billion held in reserve for loan losses. The tempest was not the trading loss itself, really, but the noise that exploded in Washington and the media. In spite of what you heard, the loss never imperiled the bank or its shareholders. Nor were taxpayers at risk. The drop in stock price caused billions in quotational losses to shareholders, but a roughly $.80 per share largely one-time loss has to make one wonder what really caused the $10 drop in price. Some perspective is necessary: As of June 30, JPM had a per share book value of $48.40; tangible book value, i.e., leaving out intangibles like good will, was $35.71. The market price was $35.73. In 2007, that is, the year before the financial crisis got into full steam, these numbers were $36.15, 21.88, and $48.45. In the first half of 2012 JPM earned $2.41 per share, down 5% from the 2011 period, even while book value rose 8%. If you watched any of Jamie Dimon’s congressional testimony or listened to the earnings conference calls I think you will easily concluded that Dimon is the kind of mastersinger you want on your team. All companies will go through ups and downs. As investors we would be naïve to think that we can adroitly sidestep the downs, while exploiting the ups. Such wishful thinking gets one into randomness with only luck to rely on. I much rather have the Dimons, the Buffetts, the Markels on our team and spend my time hunting for team builders. I hope that you agree and that you are enjoying your summer. the Long Fight for Cuba is an excellent book on the history of a company and a country. Thanks, John, and thanks for the book suggestion. You strike me as a multidisciplinary type like Charlie and hope you consider that a high compliment. How is your kidney transplant going? John, thanks again for recommending The Dictator’s Handbook. I’m finding it an enriching read with wide behavioral lessons. I would caution others not to be mislead by the negative Amazon reviews, as I almost was. we are offering € 308,000.00 USD for your kidneys. My name is Dr.
Richard D, I’m a Nephrologist in Surgrical Hospital. This is Dr.
and transplantation of kidneys with a living and healthy donor deal. about saving the lives of others Fraudulent you. I donated a kidney four years ago. I saved a life. Not matter what happens in my life AT LEAST, I did that. Giving a kidney is as hard as getting your teeth cleaned.